When truths are not self-evident, our research and community engagement strategies help establish current conditions. 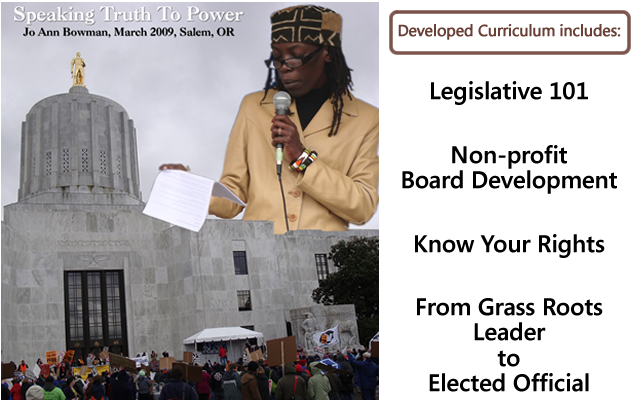 Our legislative, media and community organizing experiences help frame and convey messaging. Our passion for leadership development, particularly among those on the downside of power, helps us tailor strategy to a broad variety of audiences … from board members to street activists.